So a few of my friends who read the post “Written out of the Story” have been asking me how that issue resolved. This is just a follow up post. The following section is for those coming new to the situation who don’t want to read the extremely LONG previous post. Those just looking for the follow up, feel free to skip to the next section. A friend and I had our books coming out at the same time and so we co-organized a book launch. We both put in the work, we were both equally featured and friends of both of ours came. BUT, when my friend’s publisher, Iguana Books, posted about the event on their blog, it became a solo event, organized exclusively by my friend, featuring only her book etc. I had been written out of the event completely and without a trace (to be clear, this was the publisher, not my friend, who did this). I emailed them to let them know it was a co-launch, and that they had some of their FACTS wrong. I thought having wrong facts was a problem, particularly on your own website, where you have full control of the messaging. It affects a company’s credibility to intentionally misrepresent facts. I recently co-hosted a book launch with my friend Vanessa Ricci-Thode. Her book, the Dragon Whisperer recently came out, and since the timing was in proximity to the release of the print edition of Konstantin’s Gifts, we figured we’d pool resources and launch together. It was a really fun event–I had a great time, lots of people came, and it was a fabulous night of celebration, featuring live music, readings and some really really delicious cake! Thanks so much to everyone who attended or was involved, for your help and support and for coming out, buying books and all that good stuff! It was a fully co-operative event, in which Ness and I both participated fully: she contacted the venue; I contacted the media; she looked into catering; I looked into music; she invited her friends; I invited my friends etc. You get the idea. This week, I had the exciting news that the fantastic Lorinda Taylor, author of The Termite Queen, wrote a really great piece about the rusalka, a creature from Slavic folklore, featuring Konstantin’s Gifts as part of the analysis! Read it here. In Konstantin’s Gifts, I took the idea of the rusalka, which in folklore is primarily an aquatic entity (rather like a cross between Peg Powler, Jenny Greenteeth or grindylows of English folklore, and a siren), and extrapolated the idea of rusalki that could be connected to other elements. In my case, one of my characters becomes part fire rusalka. I had such fun, creating a new mythology and folkloric setting of stories and rumours relating to the nature of the fire rusalka. A number of years ago, my husband brought this website to my attention. These are the photographs of a man named Sergei Mikhailovich Prokudin-Gorskii, a photographer who lived in the late 19th and early 20th centuries and whose photographic method allowed him to win the funding of Tsar Nicholas II. 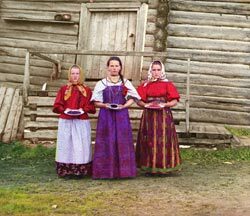 He travelled the Russian Empire, documenting in full, vibrant and gorgeous colour, a sampling of the vast and diverse scope of the Russian Tsarist regime short years before war and revolution caused it to disappear forever. 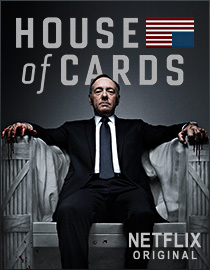 My husband and I have been spending the past several evenings watching the new, American edition of House of Cards. It’s a sinister but engaging series about the machinations of power at the highest levels, featuring an anti-hero protagonist. Francis (Frank) Underwood is a character of Shakepearean dimensions—a latter day version of what you might get if you were to cross Iago with Macbeth (indeed, some of the episodes are decidedly elegant and clever riffs on these). He’s also a psychopath. The recent definitions of psychopathy do not require violent behaviours or any other such displays. Instead, the current construal of the condition has more to do with a lack of compassion or empathy, combined with a superficial charm or charisma. This juxtaposition means that the psychopathic individual is observant enough to be able to enact appealing behaviours that persuade others to do things for them—but in cases where the charm doesn’t work, such individuals are not burdened by conscience, guilt or regret. This doesn’t automatically translate to violence, as most psychopaths are smart enough to know that violence isn’t always the easiest path to obtaining the outcome they seek. In the case of Frank, he is possessed of an overweening ambition, combined with a keen intelligence and a complete lack of compassion—one gets the sense that he sees people with no more or less empathy than he has for the pieces in the chess game that he is occasionally seen playing. I went away and thought about it and decided she was right. Newly humbled, I went back and asked her to tell me what was wrong with the chapter—and she did. Thus began my long history with negative feedback. I’ve certainly gotten a lot of it over the years, and it is key to growth and development—but only if it’s in line with the direction in which you want to grow and develop. While I have wholeheartedly embraced the fun and the challenges of the digital publishing experience, as a longtime book lover, I have to admit that there’s nothing quite like seeing a book I’ve worked on, long and hard, in print for the first time. So when I arrived home a few days ago to find my print proof for Konstantin’s Gifts waiting for me, you can only imagine my excitement. But that will come later. For now, I just want to bask in the sight of this book that I have spent so much time crafting and creating–from story to character to context–sitting on my table, or resting in my hand as I flip through pages covered in words that I wrote. The experience has a magic all its own. Happy New Year, everyone! May you all have a wonderful and auspicious 2013. It’s been a while since I’ve done my milestones column–I don’t know if I actually wrote one in 2012 at all! Not that I can take any credit for this latest development (nor for the exciting feature of Kit Foster’s work, which I blogged about last week), but SmashingShowcase recently posted an article, “The 15 Most Beautiful Fantasy Women Illustrations by Timothy Lantz“. 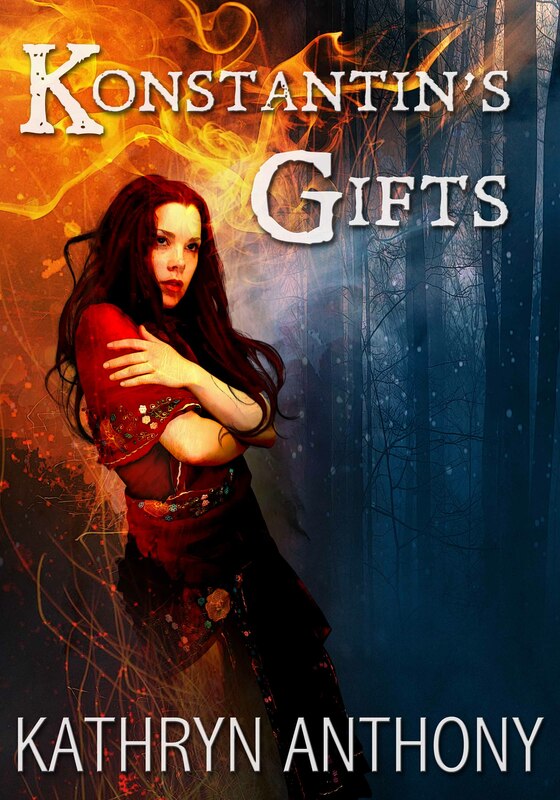 It highlights the works of one of the very talented cover artists I’ve worked with for my books. 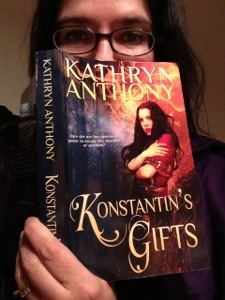 He created the cover illustration for Konstantin’s Gifts–and guess what?! KG made the top 15 list! Very, very cool! So, I obviously hadn’t been leveraging the synergies sufficiently when I posted my last KDP update. In the wake of reading a piece about the power of free and how it worked spectacularly well for the author, I thought I’d best give it a try. Warning: this post is not necessarily all that engaging for most readers. It’s mainly aimed at fellow writers who are trying to decide whether or not to do the KDP Select program and drills down into the fairly dry details of my little experiments.